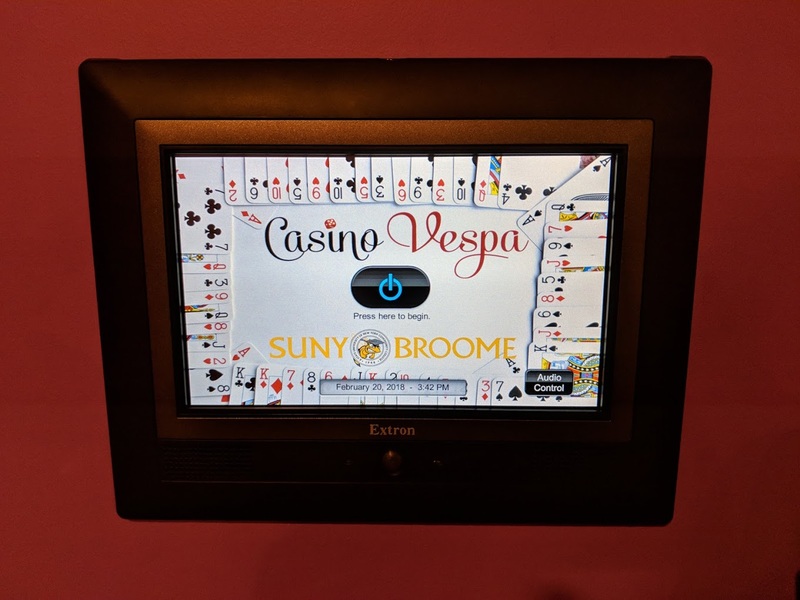 Recently the technical services team at SUNY Broome designed programmed and integrated an audiovisual system into the campus’ new mock casino space. Dubbed Casino Vespa, in the Science Building basement. 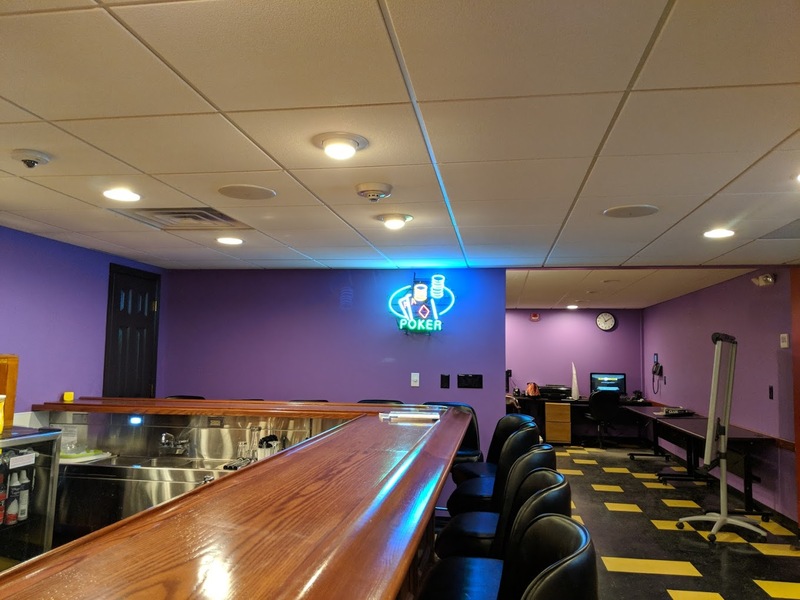 The $300,000 facility includes a blackjack table, craps table, roulette wheel and a full-service bar, complete with casino ambiance and an immersive audiovisual system, which enables instructors to transform the space into a bustling Las Vegas style casino. The room is outfitted with four distinct audio zones that are mapped through an Extron DSP and are routed to directional speakers. Each zone is capable of playing two mixed audio tracks. 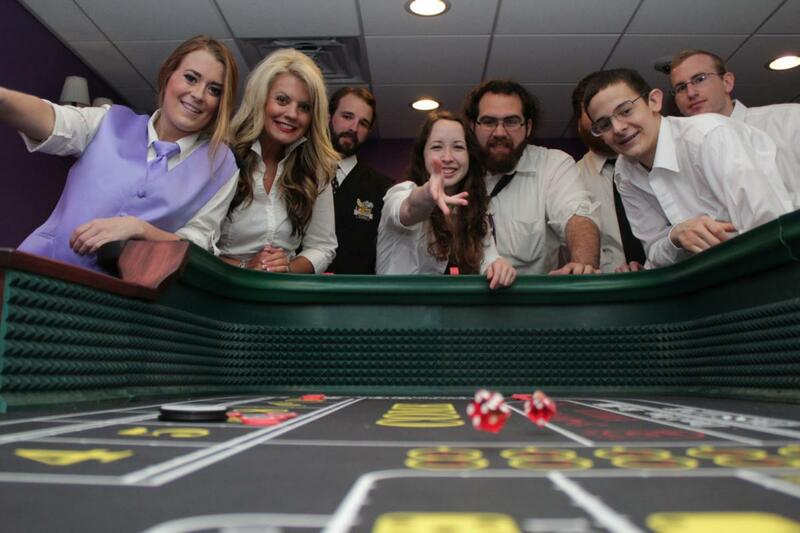 Instructors are able to play ambient casino noise sounds and mix that with bar sounds, crowd sounds, or music. 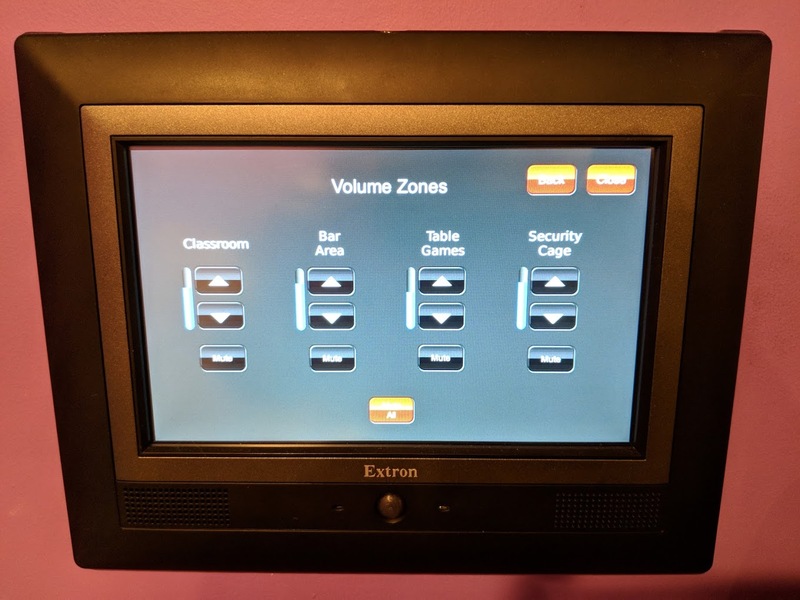 The entire system is controlled using an Extron wall mounted touch panel with an integrated custom interface. 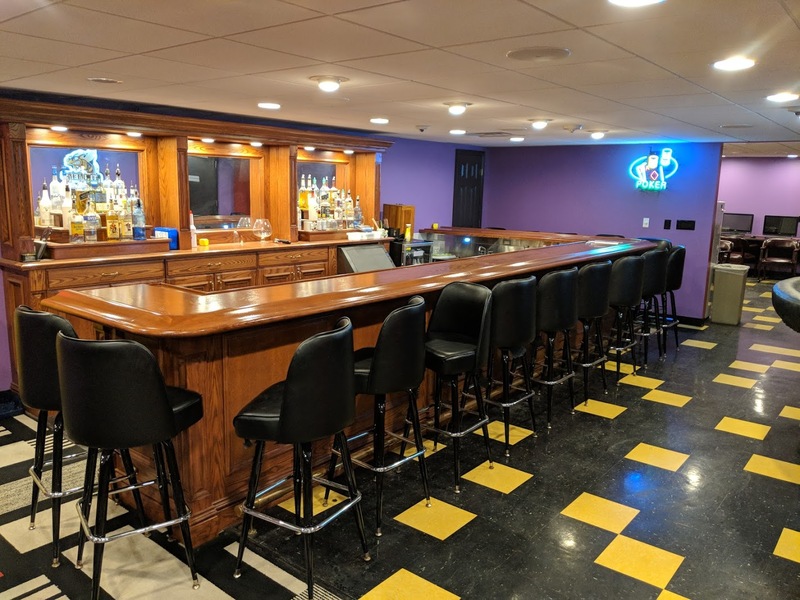 The bar area is further split into two distinct audio zones which allows the instructor to turn up the volume behind the bar while keeping it quiet for instruction in front of the bar (or vice versa). This enables the simulation of working in a loud environment for students. 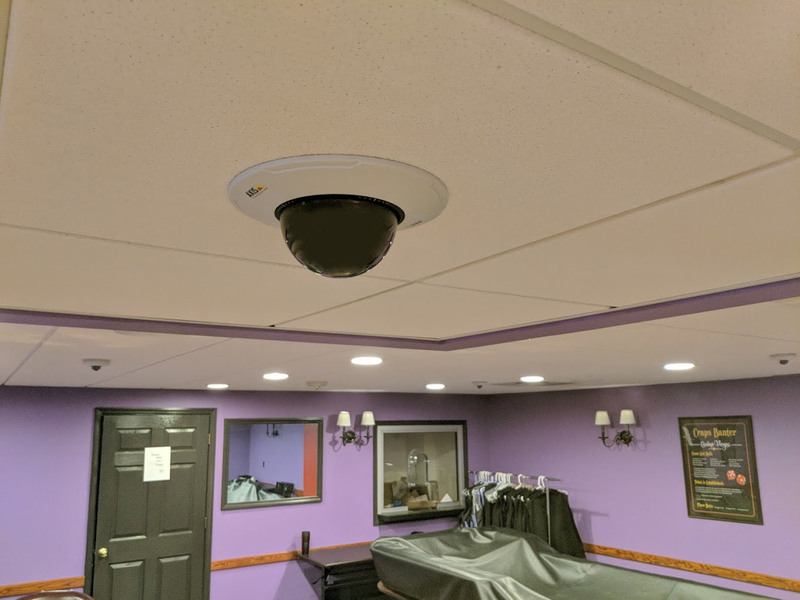 In addition to the sound system, the space also has a full featured and functioning security system complete with a security camera room. This room also has another audio zone, which allows the instructor to mix audio levels in order to simulate a much larger real-world security room. 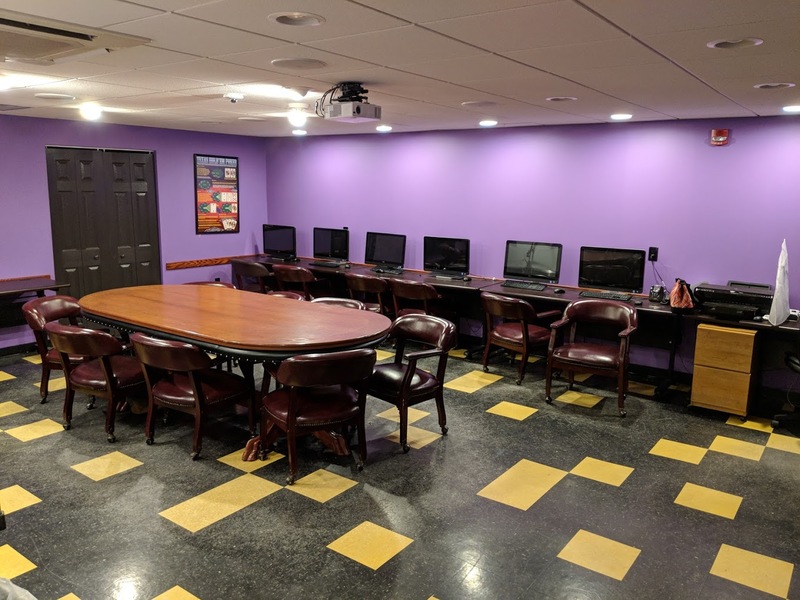 Finally, Casino Vespa has a computer lab and teaching space. Here, instructors can show videos, host training sessions, allow independent work on the lab computers, or teach a lesson. In-house staff completed the audiovisual programming during the construction phase of the space. This was convenient because they were able to constantly revise the interface in order to make sure it was as intuitive as possible. The goal was to require little to no training on the system. It should “just work”. So far, we have had almost no calls from the staff who teach in this space on how to do something with the system.  It is a popular space on campus and there is still plenty of room for growth with the system should the need arise for more technology.